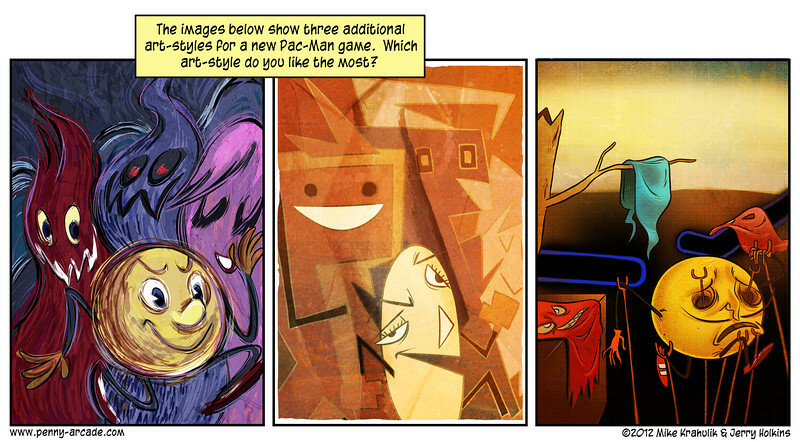 PAC-MAN… What have you DONE! 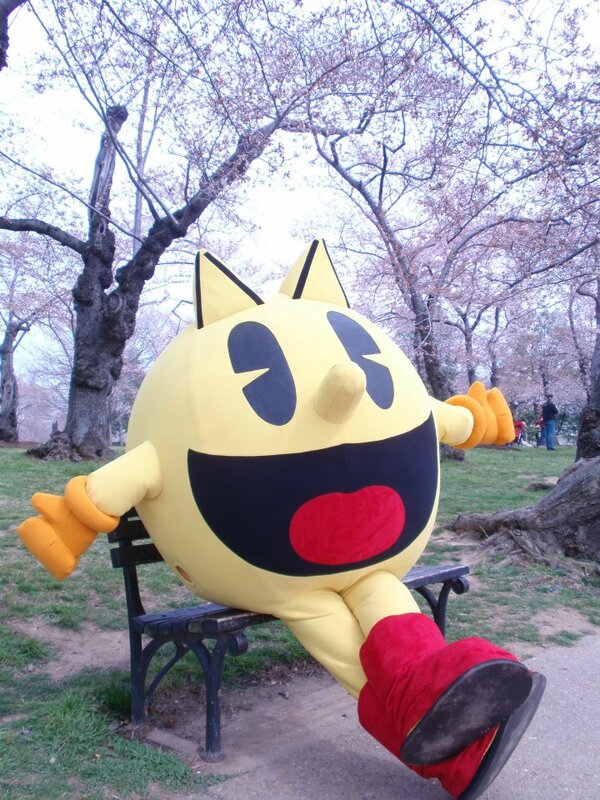 The wonderful people behind the world of Pakkuman!, know to many of you as PAC-MAN. Have decided that now would be an awesome time to push a new property from the same intellectual root form. So they are crowdsourcing some of the design. a little A&R work in the form of a survey on their Facebook page. I Don’t even know where to begin, First off… Where is Clyde? That sucker owes me money, preferably in quarter form. Secondly why do the ghosts all have radically different designs? They should be the same or at least look like they were done by the same artist. The old show was fine, and frankly i love some of the other people’s response to this. Specifically I love the response from Gabe of Penny-Aracde, he actually has the individual panels available for download on the site as well. Awesome graphics! Why do we need to go down this road again. 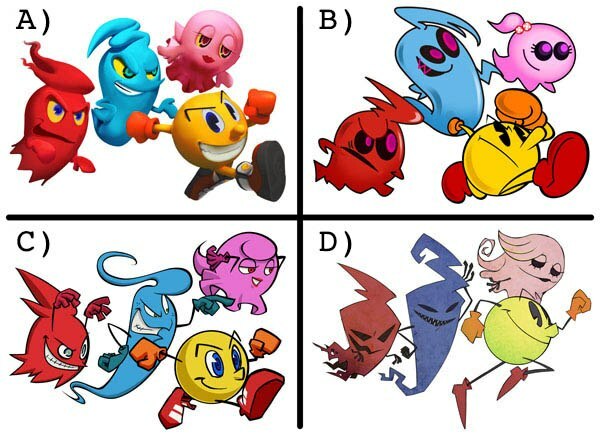 Why are the designs all horrible And while i’m still complaining, why the hell does Pac-Man have cat ears? The Official Mascot has freaking cat ear eyebrows? Hey Silly Mascot get off my lawn!